A little over a year ago, Andrew DeYoung, my editor at Beaming Books, came to me with an idea. Would I, he asked, be interested in writing three books, for three age groups around the SAME idea–namely, generosity? I loved everything about the project: the challenge for me as a writer (could I come up with three different enough stories on the same theme?) and as a parent and a person of faith (what does generosity really look or act like in different age groups? ), and the fun I had working with the amazing folks at Beaming Books and Brightpeak Financial. 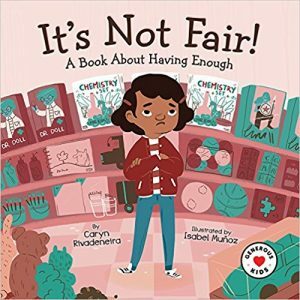 I’m really proud of how the Generous Kids books, Mine! 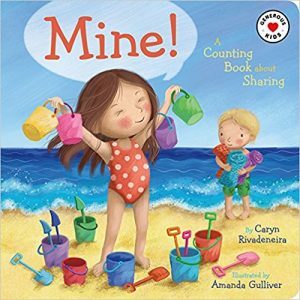 A Counting Book about Sharing, It’s Not Fair! 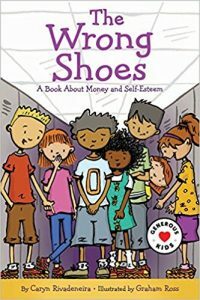 A Book about Having Enough, and The Wrong Shoes: A Book About Money and Self-Esteem turned out. They’re fun and engaging–not preachy. Kids love reading them, and teachers, parents, and care-givers will love them as well. Downloadable resources for discussion will be available at BeamingBooks.com.